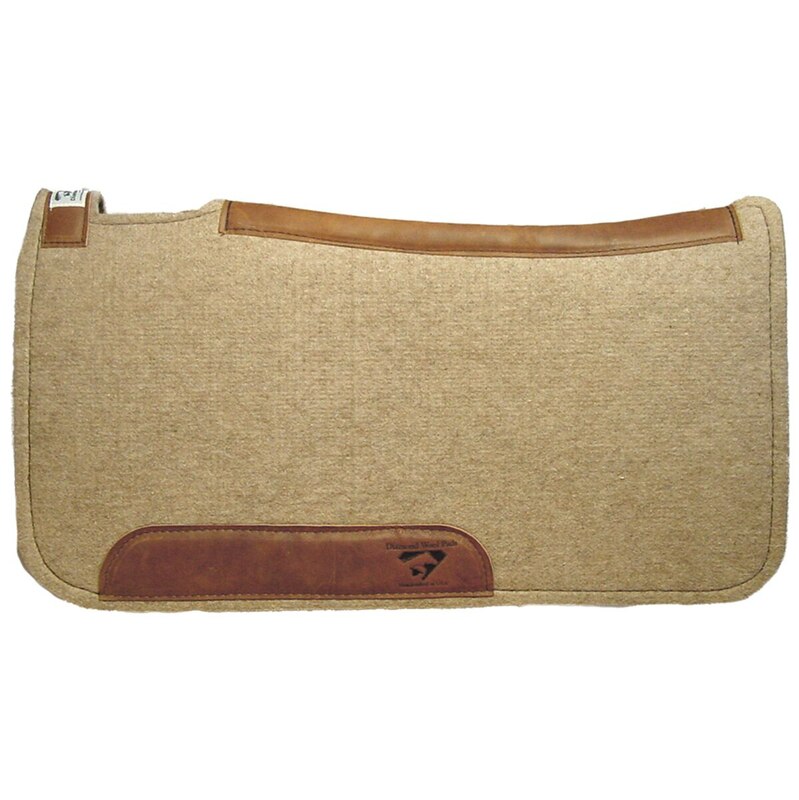 The Contoured Cowboy Pad by Diamond Wool is a unique felt saddle pad that is manufactured with a Tan Wool blend top and combined with a 100% Virgin Brown Wool bottom. Distressed leather reinforces the contoured spine. Made with a wither relief notch and beveled cutouts under the distressed wear leathers for a close-contact fit. 1) Use a soft cloth or sponge, a mild shampoo or detergent free soap (such as Woolite), and tepid water. 2) Slightly dampen the cloth or sponge and add a small amount of soap. 3) Work up a small lather on soiled areas. 4) Rinse with clean water. 5) Allow to air dry. Diamond Wool Pads has a high wool content, to avoid shrinking, avoid hot water or heat during drying. Occasionally brush your pad with a stiff bristled brush. This will help dislodge hair, dirt and sweat, which will extend your pad’s useful life span. 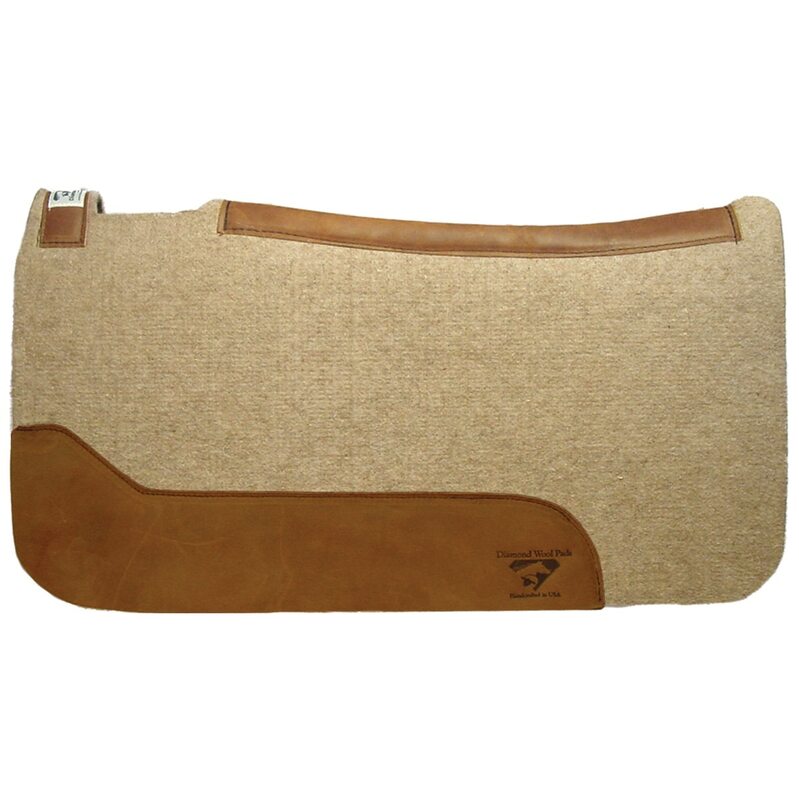 After use, your wool pad should be placed where it can air out and dry more efficiently. Deluxe Western Seat Saver - 100% Merino Sheepskin! Making those long hours in the saddle more comfortable with our super soft sheepskin saddle covers. Attaches easily to any saddle.